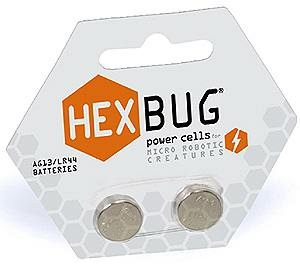 Replacement batteries for the HEXBUGs! Compatible with the Hexbug, Inchworm, Crab, Ant, and Nano models. This package contains 2 batteries. Ages 8+.